After providing some much needed rains to Chennai and surrounding areas yesterday the Well Marked Low has moved further North and is now ESE of Chennai at about 400 kms away. As it moves further North it would enter into high shear zone which could prevent further intensification majorly. 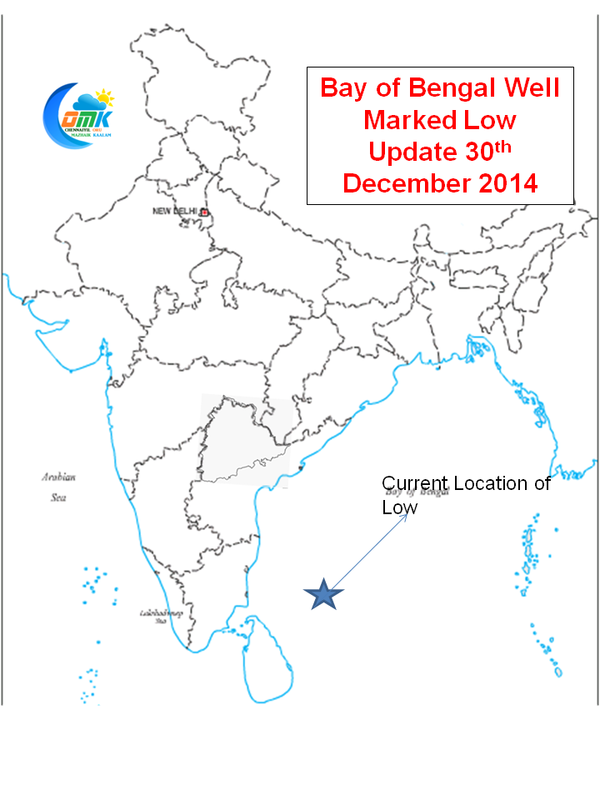 Models expect the disturbance to further move towards Odisha / WB. Considering the shear and the possibility of dry air impacting the system beyond 15N it looks extremely difficult for the system to survive its north journey all the way till Odisha / WB in its current intensity. 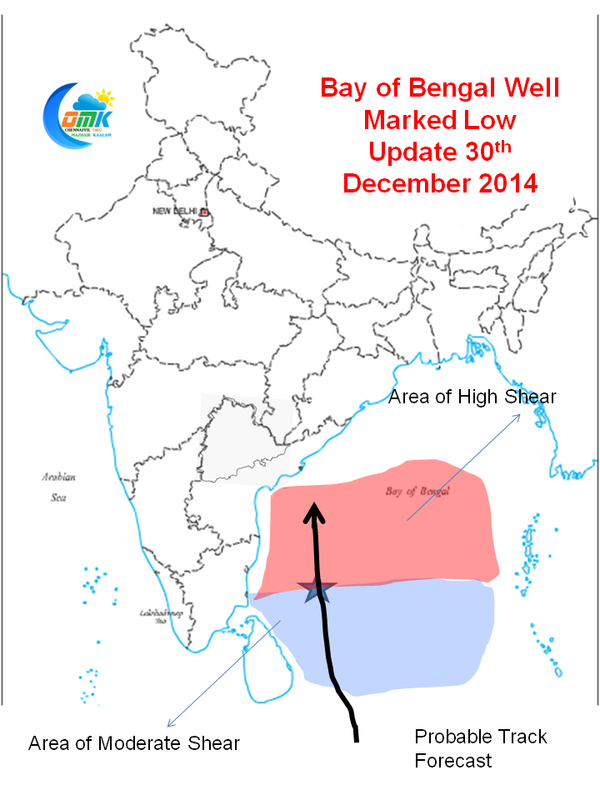 So what are the rain prospects for Tamil Nadu. 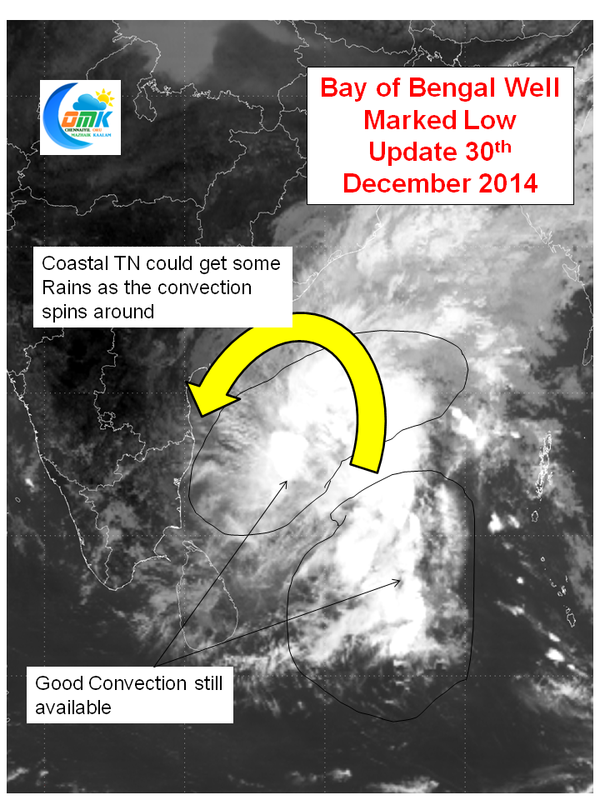 There is a possibility the convection could spin around slowly providing a possible opportunity for some rains to North Coastal TN / South Coastal AP, though its not a sure shot rains on the cards lets hope we get another stroke of luck like yesterday.